Jackie Brown, mother of one of our Camp ASCCA scholarship campers, spoke to the club on August 7, 2015. Her child attended a one-week program at the camp and had a wonderful time. This entry was posted in Programs and tagged Camp ASCCA on September 20, 2015 by kviversen. John Stephens presented a program on July 17, 2015 about “Camp Sumatanga, A Special Place”. The Alabama camp hosts many individuals and groups and includes special programs for folks with special needs. This entry was posted in Programs on September 20, 2015 by kviversen. Leigh Thompson spoke to the Club on June 19 about the upcoming Barbasol Championship Golf Tournament. A major golf event, the Tournament will host professional golfers and attract fans to the Auburn-Opelika area. This entry was posted in Programs and tagged Auburn business community on September 20, 2015 by kviversen. Emilie Whatley, Campaign Manager for the United Way, spoke to the Club on May 15 about the programs supported by the United Way in Lee County and ways in which local residents can help. This entry was posted in Programs and tagged Community support organizations on September 20, 2015 by kviversen. 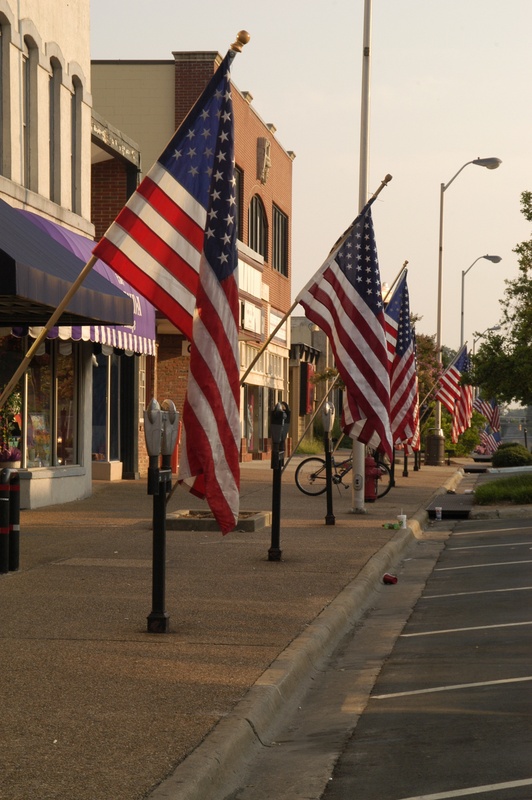 Flags were flying in downtown Auburn for Labor Day, September 7, 2015. This entry was posted in Service Projects and tagged Flag display on September 20, 2015 by kviversen.